Whether it’s for period dramas or modern soaps, films or popular TV series, Grim’s Dyke has long been used as the perfect backdrop and location. It’s also had an influence on popular TV drama series Outlander – but that connection is not one you may initially think it to be! Author Diana Gabaldon, the writer of the Outlander historical time travel book series, is said to have been influenced by several things, whilst writing her novels. Of the different locations and times mentioned in the Outlander series, Culloden is one of them. A village in Scotland, it’s also the location of the Battle of Culloden, in 1746. The drama series was developed by Ronald D Moore and produced by Sony Picture Television and Left Bank Pictures for Starz. It premiered on 9th August 2014 and told the story of a married World War II nurse who gets transported back to 1743 Scotland. Here she meets a Highland warrior and becomes embroiled in the Jacobite risings. The first series had 16 episodes and premiered on 9th April 2016. Outlander proved incredibly popular in Scotland, due to the stunning locations such as Inverness, the Scottish Highlands and the village of Culloden, as well as having the distinguishing feature of using Scottish Gaelic. It went on to be aired in the US, Australia and Canada, Ireland and the UK. It is said that the UK premier was delayed, due to the sensitivity around the Scottish independence referendum – but that hasn’t been confirmed or denied! 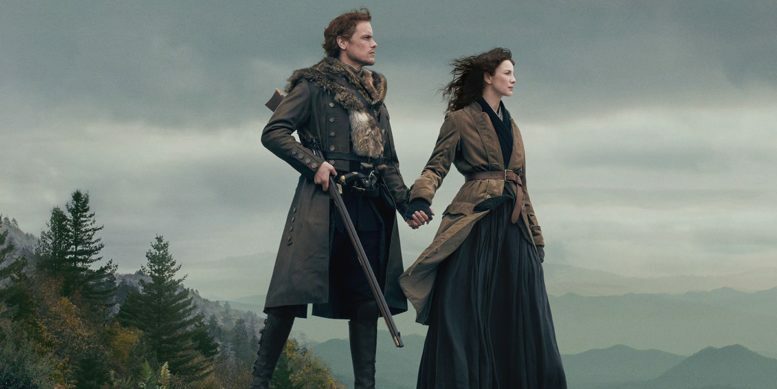 Due to its popularity, Outlander was given the green light for season two just after it’s pilot episode was aired in August 2014. It was subsequently renewed for a third and fourth season, each consisting of 13 episodes, in 2016 – followed by a fifth and sixth season in 2018. So how does this all connect back to Grim’s Dyke? Well, the Doctor Who episodes filmed at Grim’s Dyke for The Evil of the Daleks finale, were linked to Culloden too. These episodes also influenced Gabaldon during the writing stage of her Outlander series! Not only did they feature a time travelling element, they were set in the same era as Culloden. During the Doctor Who finale, a kilted Jame (Doctor Who’s assistant), joined the Doctor at Culloden and went on to do battle with the Daleks at Grim’s Dyke. Also, at our annual Harrow Whisky Festival, we have some great Scottish distilleries exhibiting. One of which, Distell, has been present at our last two festivals. They own three Scottish distilleries, one of which is Deanston – which was used as a filming location for Outlander!